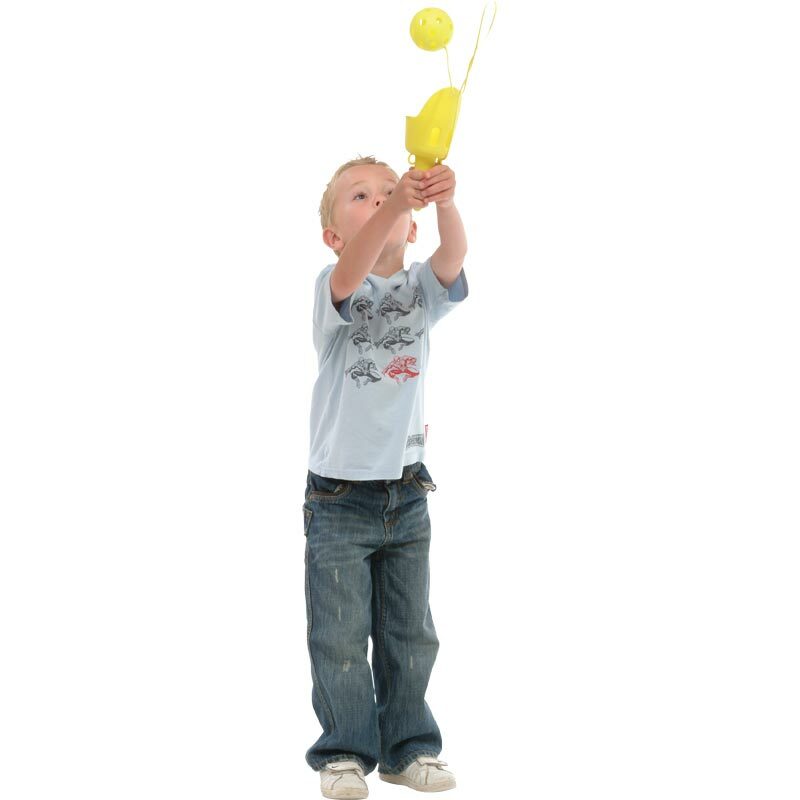 The PLAYM8 ® Katch a Cup is ideal for developing hand eye co-ordination. Simply flip the ball in the air and catch in the cup. 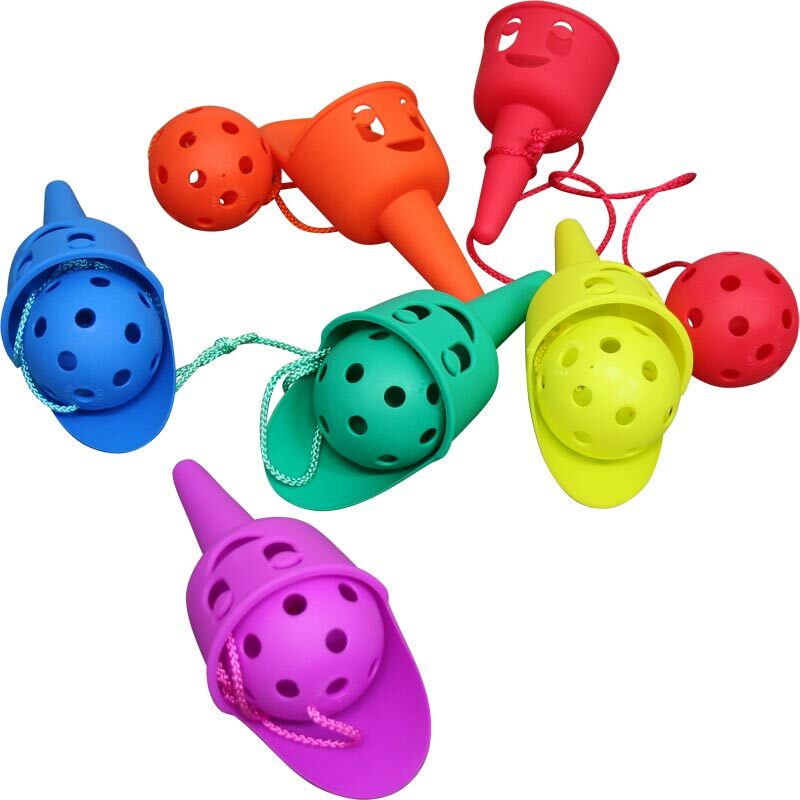 Ball and cup are joined with string so there's no risk of the ball getting lost. 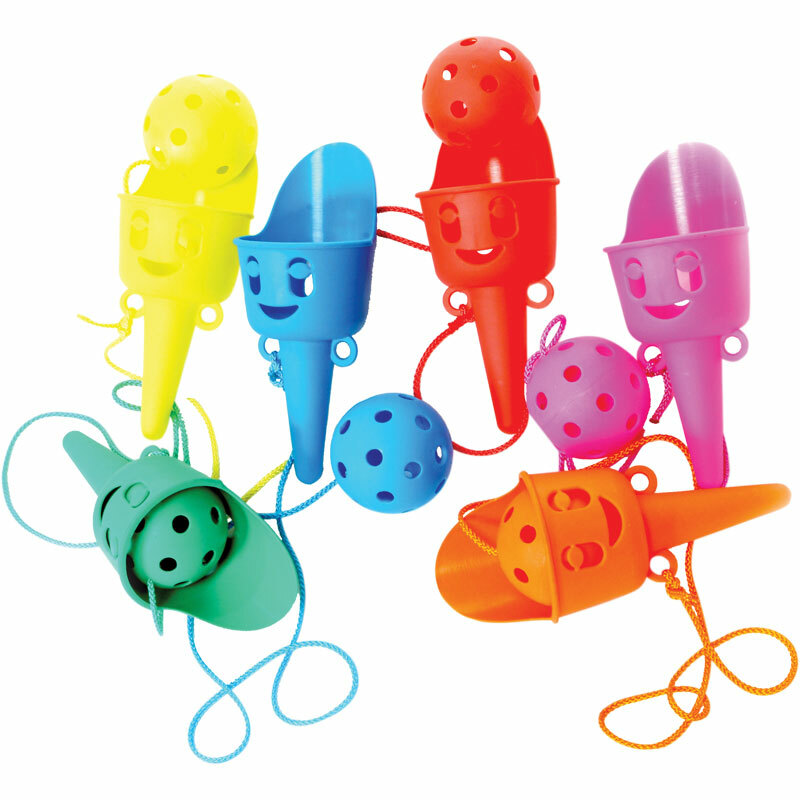 The string can be removed allowing play amongst groups with the use of the PLAYM8 ® small soft balls. They are bright colours, good quality and clean up nicely. If you could find a way to keep the string attached to the bottom of the cup that would be even better.